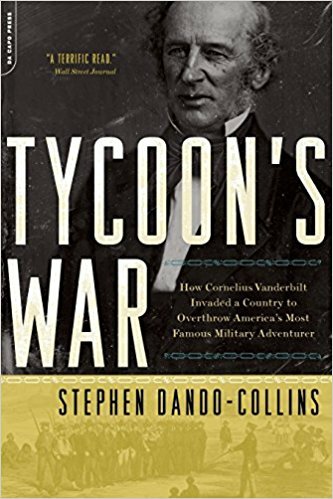 Written by a master storyteller, Tycoon's War is the remarkable account of an epic imperialist duel — a violent battle of the capitalist, Cornelius Vanderbilt, America's richest man, versus the adventurer, William Walker, and his army of American mercenaries. It's money versus ambition, and a monumental clash of egos, that resulted in the deaths of thousands of Americans and Central Americans. This incredible true story — impeccably researched and never before told in full—is packed with greed, intrigue, and some of the most hair-raising battle scenes ever written.